Turner is set to roll out “Gumball VIP” in 10 Asia Pacific and Europe markets in the next six months. 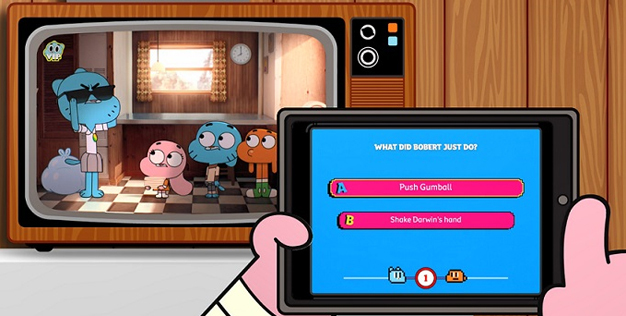 The app is an innovative and unique experience that combines the linear TV viewing of Cartoon Network’s global hit series The Amazing World of Gumball with interactive, second-screen activity. In a 2017 trial, the app usage demonstrated an appetite for dual-screen activity, with average TVR increasing from previous comparable periods by up to 44 percent. Additionally, the second screen experience showed an uplift in older kids coming to the channel – proving that appointment-to-view moments can win linear audiences. Daily reach amongst older kids (10-15) was up against all benchmarks during the trial, with a +22 percent increase year on year and a +108 percent increase versus February half term stats in 2017. In addition, “Gumball VIP” featured in the App Store top-10 during the trial period.